Summary - I am a beast. 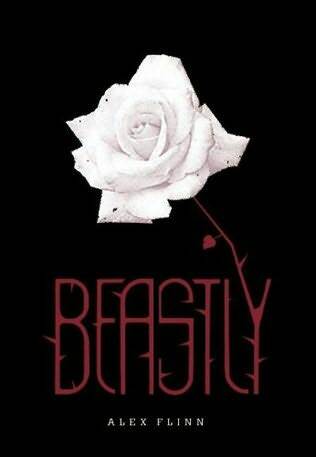 Review - Beastly is the modern re-telling of Beauty and the Beast from the male perspective. Imagine the hottest, richest, most morally impaired guy from your high school days and then have him cursed by a witch who calls his bluff. It's perfection. Flinn has managed to make Kyle, a thoroughly ghastly individual, evolve into the introspective, learned Adrian with an ease that her fellow authors would be envious of. The use of magic, while central in his predicament, takes a back seat to the human elements of the story. In seeing people through the magic hand glass he is able to see past the surface gloss that he was previously enamoured with. He can see how deep the people in his life are and learns about life, empathy and being a better person. It would have been easy to make him irredeemable but Alex has a world of hurt that he also needs to resolve to have the curse lifted. At its centre, Beastly is about how loving a good woman (Linda) heals Kyle. While I appreciate the romantic sentiment, I would have preferred for Kyle to have healed himself with Will's assistance. If a modern story retelling can have a girl rescue herself instead of the white knight, then why not have the Beast save himself too? Flinn has a direct writing style that I much enjoyed. The inside of the transformation chatroom were particularly amusing. She hasn't allowed the story to be bogged down with fluff, rather she's focused on the emotional turmoil of both Kyle and Linda. It was a great read that wasn't overly challenging but contained enough tweaks to the original formula to make it entertaining. I like the idea of Beast saving himself. Someone should write that! A read this a while back and am thinking I need to go and reread it. I didn't get much out of it but after reading your review, it seems like there was a lot of good stuff under the surface that I didn't quite get to. Awesome review!